The Kallang Airport (also known as the Kallang Aerodrome, Kallang Airfield and RAF Kallang; Chinese: 加冷机场) was the first purpose-built civil international airport in Singapore, opened officially on 12 June 1937 and ceased operations in 1955. Situated on the eastern shore of the Kallang Basin, the Kallang Airport spanned the modern planning areas of Kallang and Geylang at its greatest extent. The conserved complex, including the airport's terminal building, is located wholly within Kallang. Boasting an anchorage area for seaplanes along the airport's perimeter on the Kallang Basin, the Kallang Airport was hailed as "the finest airport in the British Empire" at that time. Famous aviator Amelia Earhart once described it as "an aviation miracle of the East". Construction of the Kallang Airport began in 1931 with 300 acres of mangrove swampland being reclaimed. 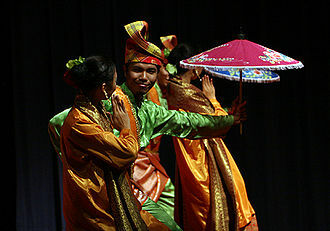 It resulted in the displacement of a large Malay community to the area around Jalan Eunos. Three Hawker Osprey aircraft first touched down in the Kallang Airport around two years before its official opening, on 21 November 1935. During World War II, the Kallang Airport was the only operational airfield in Singapore capable of supporting Allied campaigns against the Japanese forces. It was during the Japanese occupation period that the airport's grass landing zone was upgraded into a concrete runway and extended to 5500 feet. As early as 1950, plans were made to build a new airport at Paya Lebar (the current Paya Lebar Air Base) as the Kallang Airport was unable to cope with the increase in air traffic despite being expanded. The Kallang Airport finally closed in 1955. The Kallang Airport compound was subsequently occupied by several organisations following its decommissioning, the most notable being the People's Association which used the facility as its headquarters from 1960 to 2009. While most parts of the airport were demolished soon after its closure, numerous structures remain. The structures which were gazetted for conservation by the Urban Redevelopment Authority on 5 December 2008 include the airport's terminal building, administrative blocks, aircraft hangars and control tower. The conserved complex is currently unoccupied. Other parts of the Kallang Airport were redeveloped. The area surrounding the airport's former runway was first converted into the Kallang Park, a large public park created as part of "Project Lung"; later, the old National Stadium was built on the same site; today, the Singapore Sports Hub (including the new National Stadium and Singapore Indoor Stadium) is a major national landmark. The eastern portion of the Kallang Airport was redeveloped into one of Singapore's first modern residential precinct, now called the "Old Kallang Airport Estate". It was one of the locations that hosted the 2011 Singapore Biennale art festival. There are plans to transform the Kallang Airport area into a commercial hub, along with the adjacent Kallang riverside. Today, roads like Old Airport Road, Kallang Airport Drive, Kallang Airport Way directly reference the Kallang Airport; Old Terminal Lane refers to the conserved Kallang Airport terminal building; Dakota Crescent, Dakota Close and Dakota MRT station are named after the Douglas DC-3 "Dakota" aircraft that used to land frequently at the Kallang Airport and serve to commemorate an aviation disaster in 1946. Kallang Airport got its name from the nearby Kallang Basin, which was named after a group of sea-gypsies living around the area in the 1800s. On 11 February 1930, the Dutch Airline KLM operated the first service flight between Amsterdam and Batavia (now Jakarta), landing in Seletar with a Dutch-made Fokker trimotor monoplane carrying 8 passengers and a cargo of fresh fruit, flowers and mail. 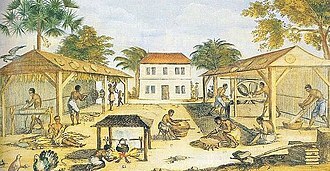 This marked the beginning of commercial civil aviation in Singapore. KLM later introduced a regular Amsterdam to Batavia flight service in late 1931. 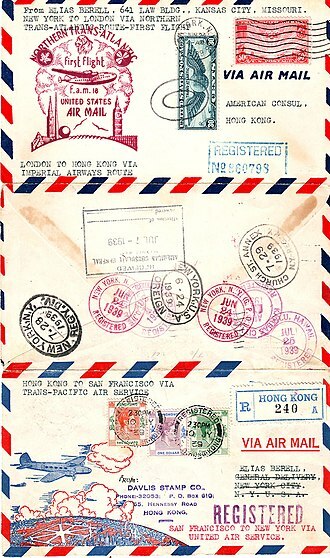 Two years later, in July 1933, Imperial Airways, the flagship airline of the British empire at the time, started a service between London and Darwin via Cairo, Karachi, Calcutta, Singapore and Jakarta. 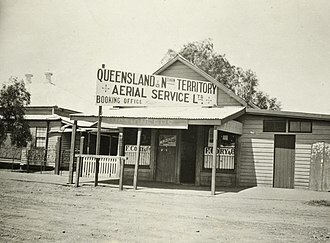 This service was later extended to Brisbane and operated jointly with Qantas Empire Airways on 17 December 1934. Booming commercial aviation traffic led to congestion at the existing Seletar Airbase (today's Seletar Airport), creating a need for a new airport. On 31 August 1931, Sir Cecil Clementi, Governor of the Straits Settlements, announced that Kallang Basin as the location for the new civil aerodrome suitable for land planes and seaplanes, and relieving Seletar of commercial flight activities. This place was chosen over other possible sites because of its proximity to the city centre as well as its location next to the Kallang Basin, which allowed seaplanes to land. Looking into the future, I expect to see Singapore become one of the largest and most important airports of the world ... 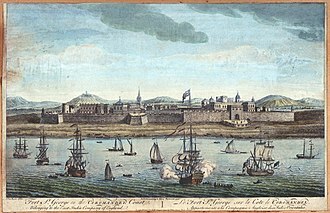 It is, therefore, essential that we should have here, close to the heart of the town, an aerodrome which is equally suitable for land planes and for sea planes; and the best site, beyond all question, is the Kallang Basin. Sir Cecil Clementi, Governor of the Straits Settlements, 31 August 1931. Reclamation work began on the 103 hectares of tidal swamp in Kallang Basin in 1932. Seven million cubic metres of earth were used for the filling of this tidal swamp. By 1936, all reclamation and consolidation of land were completed, forming a 915-metre diameter, dome-shaped landing ground. 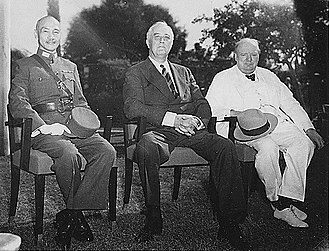 On 12 June 1937, the Kallang Aerodrome was officially opened by Sir Shenton Thomas, who had taken over the governorship of the Straits Settlements from Sir Cecil in 1934. 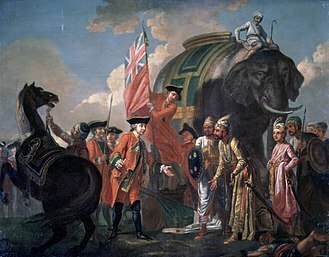 At the time it was hailed as "the finest airport in the British Empire", with facilities that were considered revolutionary. 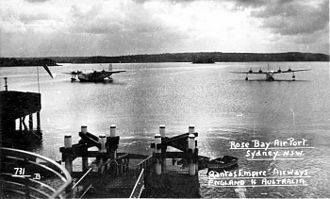 The circular aerodrome allowed planes to land from any direction, and the slipway allowed seaplanes to be served at the same terminal building as regular planes. When the Japanese launched their invasion of Malaya and Singapore on 8 December 1941, Kallang was the principal fighter airfield. By January 1942, it was the only operational fighter airfield in Singapore, as the other airfields (Tengah, Seletar and Sembawang) were within range of Japanese artillery at Johore Bahru. Brewster Buffalo fighters of 243 Squadron RAF, 488 Squadron RNZAF and a detachment of 2-VLG-V of the Royal Netherlands East Indies Air Force operated from the airfield, defending Singapore from repeated Japanese air raids. They were joined later by Hawker Hurricanes of 232 Squadron RAF, but attrition took a steady toll on men and machines, and by the last days of January 1942, the airfield had been badly damaged by the bombing and only a small number of aircraft were serviceable. 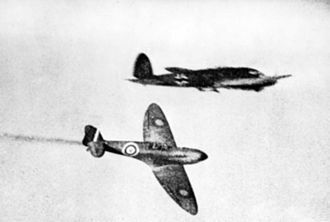 The last of the fighters left in early February, escaping to carry on the fight just before Singapore was surrendered to the advancing Japanese. The growth in aviation traffic was stunted during the war years, a period which saw the landing circle being converted into a single runway to allow use by warplanes. 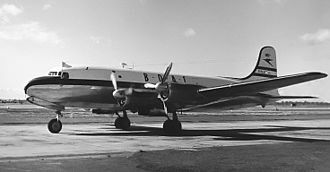 The British Overseas Airways Corporation (BOAC) and Qantas resumed their regular services to the airport, while the resurrected local airline Malayan Airways (MAL) began services on 1 May 1947. In the early 1950s, the increasing size of aircraft and the need for longer runways resulted in it being extended beyond Mountbatten Road in the eastern boundary of the facility into what is now Old Airport Road. 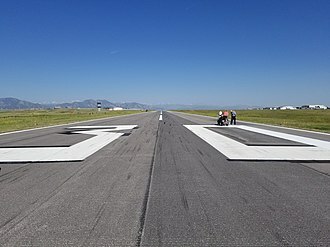 The new runway was 5,496 feet long and 165 feet wide. This necessitated the installation of traffic lights to halt vehicular traffic every time a plane took off or landed. Brewster Buffalo Mark Is being re-assembled inside a hangar at Kallang in March 1941. A row of Japanese Kawasaki Ki-45 fighters captured at Kallang airfield during the liberation of Singapore. 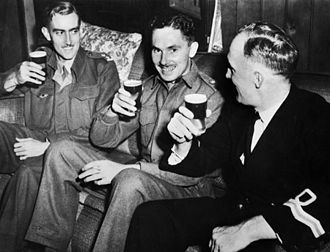 The first British prisoners of war to be evacuated from Singapore after liberation walk to their aircraft at Kallang airport. Royal Air Force personnel pass in front of a B-24 Liberator aircraft at Kallang airport, Singapore, in 1945-46. On 7 November 1941, a Royal Air Force Tiger Moth piloted by Flight Lieutenant Alec Wills was hit from behind by a landing Buffalo of 243 Squadron, resulting in Wills' death. On 29 June 1946, one of the Dakota aircraft belonging to the Royal Air Force Police with 20 NCOs on board crashed at the airport in a storm with no survivors. 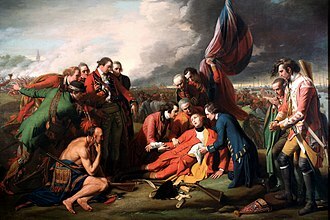 The nearby Dakota Crescent, Dakota Close and the Dakota MRT Station on the Circle Line are supposedly named in commemoration of this disaster. 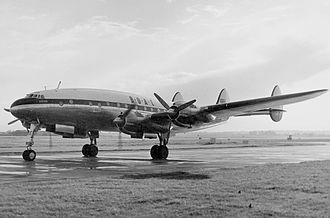 On 13 March 1954, a BOAC Lockheed Constellation, G-ALAM Belfast carrying mail crashed while attempting to land at Kallang Airport en route to London from Sydney. The accident killed 32 people, including eight crew members. 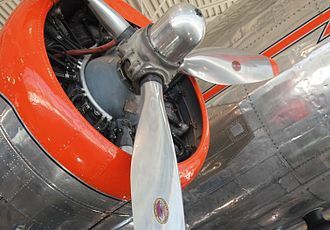 An investigation of the incident found that the most probable cause of the crash was pilot fatigue, but there was a serious problem of "inadequate response of the fire and rescue services". Kallang Airport has left several reminders of its existence. The old runway near to Mountbatten Road is now called Old Airport Road. The surrounding public flats there are named the Old Kallang Airport Estate. The estate is served by Dakota MRT Station, which took its name from the Dakota DC-3 aircraft which used to land at the Kallang Airport. Two new roads near Kallang MRT Station have been named "Kallang Airport Drive" and "Kallang Airport Way". In addition, Old Terminal Lane, which links Geylang Road with Kallang Airport Way, references the Kallang Airport's conserved terminal building. 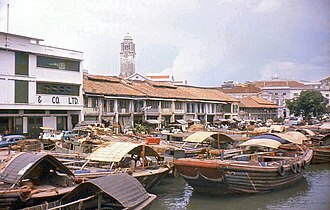 The slipway for seaplanes was occupied by the Oasis Building, a structure built on the Kallang Basin. The terminal building itself was used as the headquarters of the People's Association until 9 April 2009, when it moved to its new headquarters at King George's Avenue. The PA building held many activities for the ruling People's Action Party, ranging from school visits to social events. Kallang Airport was gazetted for conservation on 5 December 2008 by the Urban Redevelopment Authority (URA) of Singapore. The original Terminal Building is an iconic modernist building with Art Deco-style railings and columns by Frank Dorrington Ward. The international style also be interpreted in this building as a radical simplification of form, refusing of ornament, using transparent materials and making building visually lighter, also the clearly division of functions. There is a circular elevated glass control tower centrally and two side blocks that composed the former terminal building with an open-air viewing deck on the top floor. The People’s Association kept the concrete structure and transparent glazed walls and repaired the façade, closed the gates and rebuilt the window on the second floor to reorganize the interior space for office. ^ "Amelia Earhart called Kallang Airport the aviation miracle of the east". Straitstimes.com. 9 December 2017. Archived from the original on 12 June 2018. Retrieved 7 June 2018. ^ "Former Kallang Airport building". nlb.gov.sg. 11 June 2013. Archived from the original on 12 June 2018. Retrieved 17 July 2018. ^ "Old Kallang Airport". remembersingapore.org. 23 July 2012. Archived from the original on 17 July 2018. Retrieved 17 July 2018. ^ nickyeo (22 July 2014). "Old Kallang Airport". The Lion Raw. Archived from the original on 17 July 2018. Retrieved 17 July 2018. ^ "Iconic of Old Kallang Airport". blogspot. 27 August 2017. Archived from the original on 17 July 2018. Retrieved 17 July 2018. ^ "A Little History along the Kallang River". 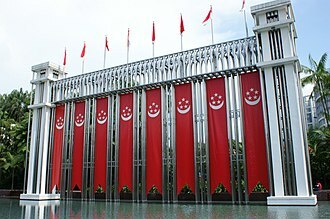 remembersingapore.org. 1 November 2016. Archived from the original on 17 July 2018. Retrieved 17 July 2018. ^ "Singapore Biennale". nlb.gov.sg. 2017. Archived from the original on 8 July 2018. Retrieved 17 July 2018. ^ "Urban Redevelopment Authority". Ura.gov.sg. Archived from the original on 17 July 2018. Retrieved 3 June 2018. ^ "Place Names: Gelam-Rochor-Kallang-Geylang". Singapura Stories. Archived from the original on 3 March 2017. Retrieved 3 March 2017. ^ a b c Yong Kiat, Goh (2012). Where Lions Fly. Singapore: Straits Times Press. p. 63. ^ "Former Kallang Airport building". Archived from the original on 12 June 2018. Retrieved 15 January 2019. ^ McCrery, Nigel (2011). 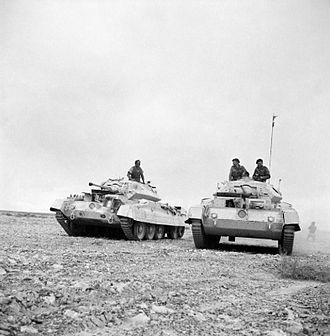 The Coming Storm: Test and First-Class Cricketers Killed in World War Two. 2nd volume. Pen and Sword. p. 139-40. ISBN 1526706989. ^ Stephen R Davies (2004). "A Concise History of the Royal Air Force Police". Archived from the original on 20 February 2010. 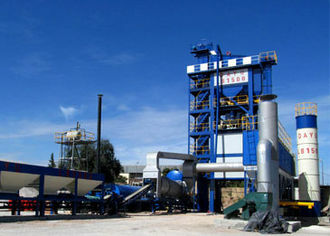 Retrieved 15 April 2010. ^ "32 are killed in Kallang air disaster". The Straits Times. 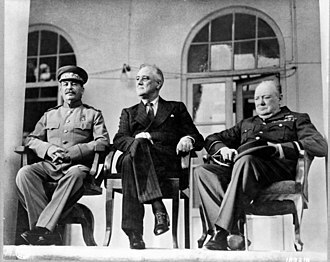 14 March 1954. p. 1. Archived from the original on 8 January 2019. Retrieved 8 January 2019. ^ "Kallang Airport". Flickr. Archived from the original on 3 March 2017. Retrieved 3 March 2017. ^ "Former Kallang Airport". Archived from the original on 28 June 2018. Retrieved 15 January 2019. Fokker was a Dutch aircraft manufacturer named after its founder, Anthony Fokker. The company operated several different names, starting out in 1912 in Schwerin, Germany. During its most successful period in the 1920s and 1930s, it dominated the civil aviation market, Fokker went into bankruptcy in 1996, and its operations were sold to competitors. At age 20, while studying in Germany, Anthony Fokker built his initial aircraft, Fokker capitalized on having sold several Fokker Spin monoplanes to the German government and set up a factory in Germany to supply the German Army. His first new design for the Germans to be produced in any numbers was the Fokker M, when it was realized that arming these scouts with a machine gun firing through the propeller was desirable, Fokker developed a synchronization gear similar to that patented by Franz Schneider. Fitted with a version of this gear, the M.2. Later in the war, after the Fokker D, as this partnership proved to be troublesome, it was eventually dissolved again. In 1919, owing large sums in back taxes, returned to the Netherlands and founded a new company near Amsterdam with the support of Steenkolen Handels Vereniging and he chose the name Nederlandse Vliegtuigenfabriek to conceal the Fokker brand because of his World War I involvement. Despite the strict disarmament conditions in the Treaty of Versailles, Fokker did not return home empty-handed. In 1919, he arranged an export permit and brought six entire trains of parts, and 180 types of aircraft across the Dutch-German border, among them 117 Fokker C. Is, D. VIIs and this initial stock enabled him to set up shop quickly. After his companys relocation, many Fokker C. I and C. IV military airplanes were delivered to Russia and the still clandestine German air force. Success came on the market, with the development of the Fokker F. VII. Fokker continued to design and build aircraft, delivering planes to the Royal Netherlands Air Force. Foreign military customers eventually included Finland, Denmark, Switzerland and these countries bought substantial numbers of the Fokker C.
KLM Royal Dutch Airlines, legally Koninklijke Luchtvaart Maatschappij N. V. is the flag carrier airline of the Netherlands. KLM is headquartered in Amstelveen, with its hub at nearby Amsterdam Airport Schiphol and it is part of the Air France–KLM group, and is a member of the SkyTeam airline alliance. KLM was founded in 1919, it is the oldest airline in the still operating under its original name and had 32,505 employees as of 2013. KLM operates scheduled passenger and cargo services to approximately 130 destinations, in 1919, a young aviator lieutenant named Albert Plesman sponsored the ELTA aviation exhibition in Amsterdam. 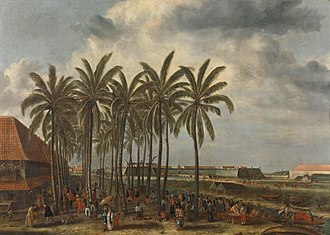 The exhibition was a success, after it closed several Dutch commercial interests intended to establish a Dutch airline. In September 1919, Queen Wilhelmina awarded the yet-to-be-founded KLM its Royal predicate, Plesman became its first administrator and director. The first KLM flight took place on 17 May 1920, KLMs first pilot, Jerry Shaw, flew from Croydon Airport, London, to Amsterdam. The flight was using a leased Aircraft Transport and Travel De Haviland DH-16, registration G-EALU. In 1920, KLM carried 440 passengers and 22 tons of freight, in April 1921, after a winter hiatus, KLM resumed its services using its own pilots, and Fokker F. II and Fokker F. III aircraft. In 1921, KLM started scheduled services, KLMs first intercontinental flight took off on 1 October 1924. The final destination was Jakarta, Java, in the Dutch East Indies, in September 1929, regular scheduled services between Amsterdam and Batavia commenced. 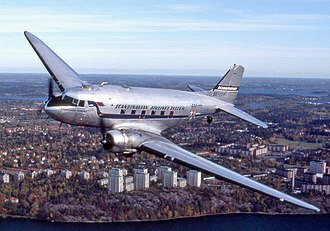 Until the outbreak of the Second World War in 1939, this was the worlds longest-distance scheduled service by airplane. By 1926, it was offering flights to Amsterdam, Brussels, London, Copenhagen, in 1930, KLM carried 15,143 passengers. 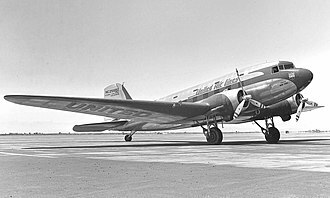 The Douglas DC-2 was introduced on the Batavia service in 1934, the first experimental transatlantic KLM flight was between Amsterdam and Curaçao in December 1934 using the Fokker F. XVIII Snip. The first of the airlines Douglas DC-3 aircraft were delivered in 1936, KLM was the first airline to serve Manchesters new Ringway airport, starting June 1938. The National Stadium is a multi-purpose stadium, located in Kallang, Singapore. It opened its doors on 30 June 2014, replacing the former National Stadium at the same site and it takes approximately 48 hours to reconfigure seating arrangements to suit an upcoming event. For the first time since 2006, the National Day Parade,2016 made its return to the National Stadium on 9 August 2016, construction work for the sports hub started in 2010 due to the delays caused by the 2008 financial crisis and soaring construction costs. By September 2011, the pilling and the foundation of the stadium was completed, the stadium was set to be completed in April 2014, however, In February 2014, Sports Hub CEO Philippe Collin Delavaud announced that the National Stadiums completion was pushed back to June 2014. The stadium has configurable spectator tiers depending on the event that will be hosted, namely Football/Rugby mode, Cricket mode, the National Stadium currently holds the record of the largest dome structure in the world. The retractable roof itself will take an approximate 25 minutes to open or close, at night, the retractable roof doubles as a giant projector screen on both sides, which can display images such as the Singapore Flag during the National Day Parade. Desso GrassMaster was installed as the grass pitch when the stadium opened. In October 2014, Brazil coach Dunga criticised the state of the pitch, which had not improved much since the Juventus match, although Brazil won the match 4–0, he said after the match that the sandy pitch had prevented his side from playing their best football. Eventually, the grass still failed to grow well and was replaced by the Eclipse Stabilised Turf in May 2015, the stadium is located above the underground Stadium MRT Station on the Circle Line. Trains arrive every five to six minutes during off-peak hours, other MRT stations nearby are Kallang MRT Station which can be accessed using a sheltered walkway, and Mountbatten MRT Station. Both of these stations are within 600 metres of the stadium, bus stops are located around the Sports Hub complex along Stadium Walk, Stadium Boulevard and Nicoll Highway, with buses serving nearby districts and the city. Tengah Air Base is a military airbase of the Republic of Singapore Air Force located in the Western Water Catchment, in the western part of Singapore. The airfield goes by the motto of Always Vigilant, which is supported by its main motif, the sword represents wars heraldic sword of destruction, while the state is depicted by the castle. Prior to Singapores independence, it was a flying Royal Air Force station known as RAF Tengah, RAF Tengah was opened in 1939. Tengah airfield was the target of carpet bombing when 17 Japanese Navy bombers conducted the first air raid on Singapore and it was the first airfield to be captured when Japanese forces invaded Singapore. In 1958 they were joined by 45 Squadron and No.75 Squadron RNZAF, the RAAF retained their Lincolns, with 1 Squadron, until the end of the emergency. 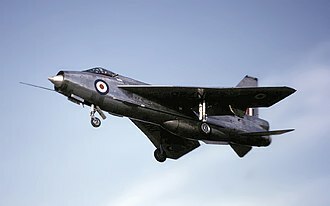 During the period of Indonesia–Malaysia confrontation, the RAF deployed 74 Squadron with its English Electric Lightning F, on 3 September 1964, an Indonesian Air Force C-130 Hercules crashed into the Straits of Malacca while trying to evade interception by a Javelin FAW.9 of No 60 Squadron. There were local partnership companies, Qantas in Australia. Imperial Airways was merged into the British Overseas Airways Corporation in 1939, the launch of the airline followed a burst of air route surveying in the British Empire after the First World War, and after some experimental long-distance flying to the margins of Empire. With this in view, a £1m subsidy over ten years was offered to encourage the merger, Sir Eric Geddes was appointed the chairman of the board with one director from each of the merged companies. The government had appointed two directors Hambling and Major J. W. Hills a former Treasury Financial Secretary, the land operations were based at Croydon Airport to the south of London. IAL immediately discontinued its predecessors service to north of London. Thereafter the only IAL aircraft operating North of Watford were charter flights, industrial troubles with the pilots delayed the start of services until 26 April 1924, when a daily London–Paris route was opened with a de Havilland DH.34. The first new airliner ordered by Imperial Airways, was the Handley Page W8f City of Washington, in the first year of operation the company carried 11,395 passengers and 212,380 letters. In April 1925, the film The Lost World became the first film to be screened for passengers on an airliner flight when it was shown on the London-Paris route. On his return Cobham was awarded the Air Force Cross for his services to aviation, on 30 June 1926, Alan Cobham took off from the River Medway at Rochester in G-EBFO to make an Imperial Airways route survey for a service to Melbourne, arriving on 15 August 1926. He left Melbourne on 29 August 1926, after completing 28,000 nautical miles in 320 hours flying time over 78 days, Cobham was met by the Secretary of State for Air, Sir Samuel Hoare, and was subsequently knighted by HM King George V. On 27 December 1926, Imperial Airways de Havilland DH.66 Hercules G-EBMX City of Delhi left Croydon for a flight to India. 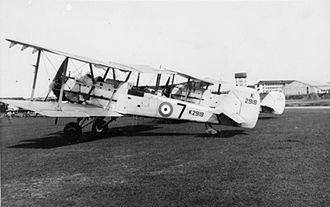 The flight reached Karachi on 6 January 1927 and Delhi on 8 January 1927, the aircraft was named by Lady Irwin, wife of the Viceroy, on 10 January 1927. The worlds first, manually operated gas-lit traffic signal was short lived. Installed in London in December 1868, it exploded less than a month later, Traffic control started to seem necessary in the late 1890s and Earnest Sirrine from Chicago patented the first automated traffic control system in 1910. It used the words STOP and PROCEED, although neither word lit up, Traffic lights alternate the right of way accorded to users by displaying lights of a standard colour following a universal colour code. In the typical sequence of phases, The green light allows traffic to proceed in the direction denoted, if it is safe to do so. The amber light warns that the signal is about to change to red, in a number of countries – among them the United Kingdom – a phase during which red and yellow are displayed together indicates that the signal is about to change to green. A flashing amber indication is a warning signal, in the United Kingdom, a flashing amber light is used only at pelican crossings, in place of the combined red–amber signal, and indicates that drivers may pass if no pedestrians are on the crossing. The red signal prohibits any traffic from proceeding, a flashing red indication is treated as a stop sign. In some countries traffic signals will go into a flashing mode if the Conflict Monitor detects a problem, the signal may display flashing yellow to the main road and flashing red to the side road, or flashing red in all directions. Flashing operation can be used during times of day when traffic is light, before traffic lights traffic police controlled the flow of traffic, a well-documented example being that on London Bridge in 1722. Three men were given the task of directing traffic coming in, each officer would help direct traffic coming out of Southwark into London and he made sure all traffic stayed on the west end of the bridge. A second officer would direct traffic on the east end of the bridge to control the flow of people leaving London and going into Southwark. The main reason for the light was that there was an overflow of horse-drawn traffic over Westminster Bridge which forced thousands of pedestrians to walk next to the Houses of Parliament. Panorama of Kallang, showing Crawford in the foreground, Kallang Basin and the condominiums of Tanjong Rhu in the background, Kallang River and Rochor River on the left, Marina Centre on the right, and the Downtown Core to the far right. Lookout tower at Tanjong Rhu overlooking Kallang Basin and the Downtown Core. Aerial photograph of the Kallang Airport and Kallang Basin, taken in 1945 shortly after the Japanese surrender. The Kallang Basin of this era covered a much larger area. The preview show of the 2003 National Day Parade held at the old National Stadium. Singapore International Airport control tower and terminal building, photographed February 1969 × July 1971. The URA Centre at Maxwell Road. Spectators at the World Club 10s Rugby on 22 June 2014 in the first sporting event held at the National Stadium. An estimated 11,900 spectators at the National Stadium for Tampines Rovers FC vs Selangor FA during the 2016 AFC Cup group stages on 10 May 2016. 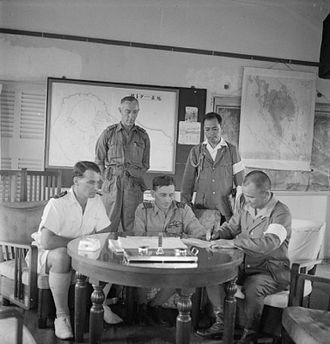 Royal Navy and RAF officers watch as Vice Admiral Kogure appends his signature to the document marking the formal takeover of Seletar airfield from the Japanese, 8 September 1945. Emblem of the RSAF Black Knights. Air Vice-Marshal Conway Pulford greeting pilots of the ML-KNIL in Singapore, January 1942. A pilot with his Fokker C.V, 1937. A montage of National Stadium, towards the eastern entrance (top) and the western entrance (bottom). A ten-dollar "Banana Money" note issued during the war. Platform A of Dakota MRT station with featured artwork. Concourse of Dakota MRT station.